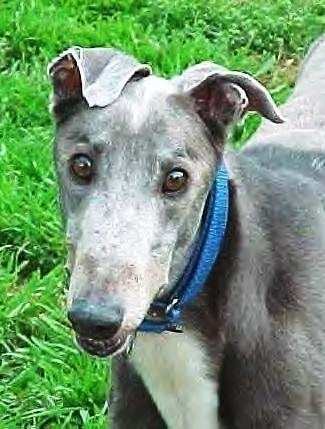 "My beloved boy would have been 13 in January and will be missed dearly." 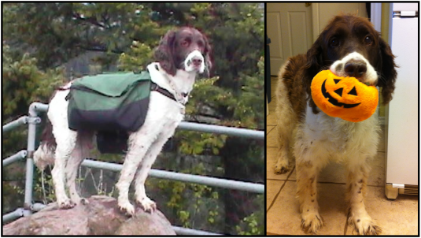 Loved and missed by Kris, and fur-sisters, Sophie, Gigi and Tessa. 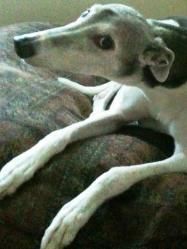 We miss this sweet, handsome, soulful boy! Run pain free Wyatt. We love you and will especially miss your hugs. Wyatt had a special way of wrapping his head and neck around you and giving hugs. What joyful spirit this beautiful big boy had! We knew the day we saw him we had to have him. He was a pistol at first - he seemed to be the one who always got into a bit of trouble. Of the three boys (Hickory, Cooper and Casey, now all gone), he was always Dennis the Menace...or so we thought. For many years, we blamed Casey for "watering" our Christmas tree. Then after Cooper died, we found out it was Cooper who had done that and not Casey. 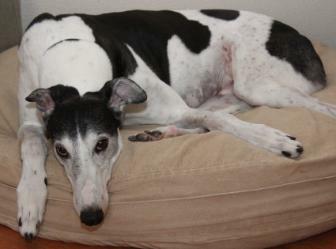 Zorro was a sweet boy who was not tattooed so we don't know how old he really was. His quiet, unassuming ways will be missed and there will be an empty spot on the sofa. Run pain free and happy sweet boy! 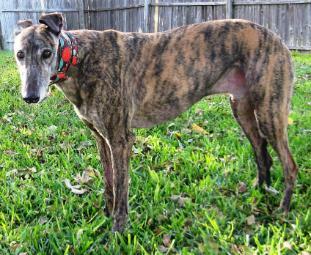 Eager was a shy boy who loved to “talk” about everything and nothing at all and he was always up for a walk. One of his favorite things was to have his ears rubbed. He was never pushy or demanded to be petted, but would stand quietly by and accept any and all attention showered on him. 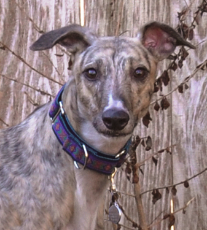 Each time a member of our family returned home, Eager would greet them with his “happy dance.” He was so happy and goofy, you could not help but smile watching him. Eager was a kind hearted soul, he was very tolerant of our three cats, but would occasionally give a warning growl when one of them overstayed their welcome on his bed. 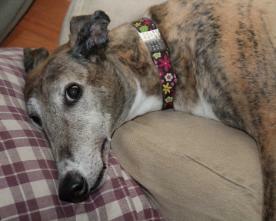 Goodbye sweet Eager, great friend and loyal companion. 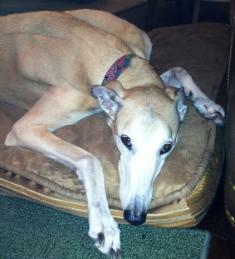 Sweet Kiowa was much loved and will be greatly missed by her mom Kay and greyhound brother Eddie. Big, goofy boy, you will be missed. Sweet boy of Patti Terry and Clayton Robertson. Beloved and missed by Don Hutson. Run free Diesel. Run like the wind, my sweet Irish girl. Your brothers and I will miss you, sweetie. 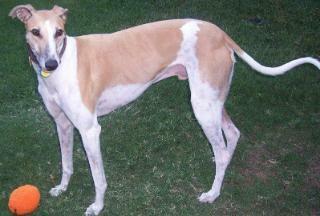 Teddy came to us from GALT (via Suzanne) on July 1, 2006. He was our gentle giant. My sweet, sweet boy. 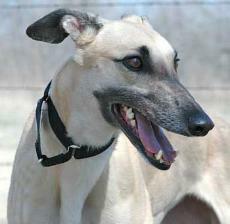 He loved to run and have the girls chase him. 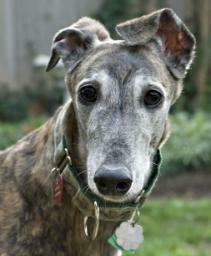 Teddy went to the Rainbow Bridge on June 3, 2012, just one week shy of his 8th birthday. We miss him terribly. Spike joined our family in June 1999. He loved running through tall grass, going hiking and barking into the wind. 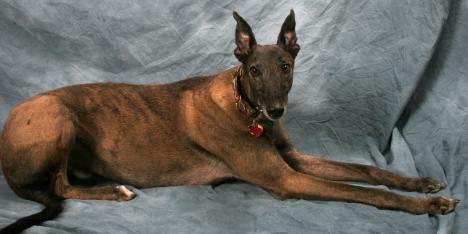 Spike passed away at the age of 15 on May 27, 2012. 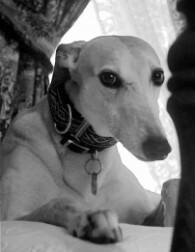 Beloved and first Greyhound of Joe and Joanne Smith. My shy, sweet, playful (only with mom) Susan now running pain free. I will miss the toy box being emptied every morning and the sound of running and twirling in the living room and your shy, sweet, tentative ways! Love you! 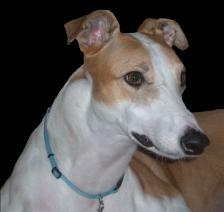 Vixen was loved by the Bond family and will be greatly missed. "Unable are the loved ones to die. For love is immortality"